9 Nov 2015 Washington, D.C.
U.S. Secretary of Defense Ash Carter, while addressing the Reagan National Defense Forum, said the United States needs “much more than airstrikes” to defeat the Islamic State (ISIS/ISIL) in Iraq and Syria. Obama officially broke his no combat boots on the ground promise almost a year after he unveiled his plan to defeat ISIS. Carter, on Oct. 23, said he expected American troops to conduct more ground raids in support of partners or unilaterally to rescue hostages from ISIS in Iraq. ISIS continues to control large swaths of territory in Iraq and Syria more than a year after the U.S.-led fight against the terrorist group began. In July, Senate Armed Services Committee Chairman John McCain (R-AZ), Obama’s Republican opponent in the 2008 race for the White House, blasted Obama’s “delusional” lack of strategy against ISIS, suggesting the U.S. was “losing” the fight. The Pentagon ended its failed $500 million program to train and equip the so-called moderate Syrian forces last month. After shutting down that program, the Obama administration airdropped 50 tons of small arms ammunition and grenades intended for Arab rebels in northern Syria as part of a new effort. However, the People’s Protection Units (YPG), the national Kurdish army in Syria, reportedly claimed the supplies. 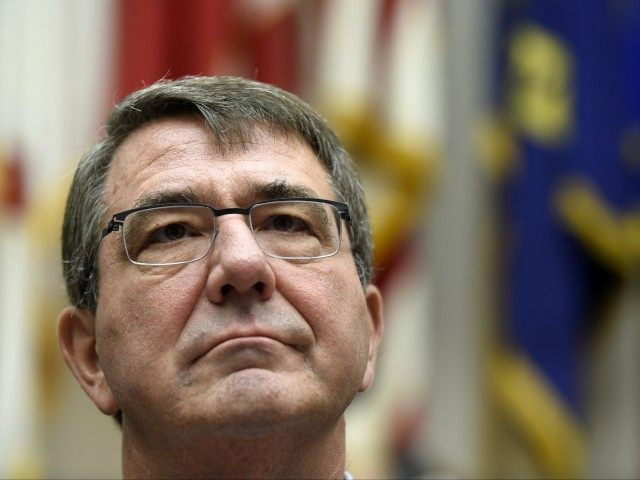 Pentagon officials insisted that Syrian Arabs received the ammunition. The initial train and equip program was a massive embarrassment for the administration’s effort to recruit local fighters to combat ISIS. One group of trainees surrendered their U.S.-provided weapons to the al Nusra Front, an al-Qaeda affiliate in Syria. While testifying before the House Foreign Affairs Committee last Wednesday, Anne Patterson, assistant secretary for the Bureau of Near Eastern Affairs at the State Department, suggested that America’s Arab allies have discussed sending their own ground forces into Syria. “We’ve had lots of discussions with our gulf allies and with Jordan about the possibility of introducing ground troops,” she told lawmakers. Nevertheless, Carter criticized America’s Gulf State allies for not contributing enough to the fight against ISIS after the senior State official made those comments. “The reason they lack influence, and feel they lack influence in circumstances like Iraq and Syria, with [ISIS], is that they have weighted having high-end air-force fighter jets and so forth over the hard business of training and disciplining ground forces and special-operations forces,” the defense secretary told The Atlantic.